After weeks of rumors and leaks, Samsung has finally launched the long-rumored Samsung Galaxy A40. 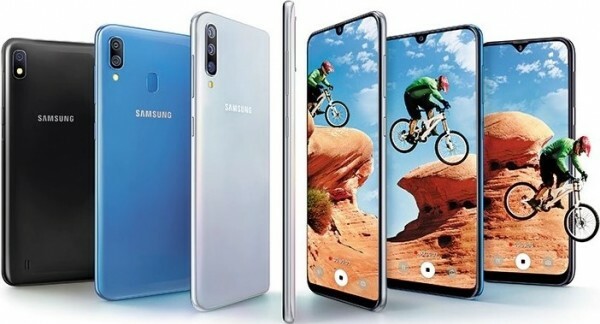 According to the latest information online, Samsung A40 has officially been launched in the Netherlands. Hence, the revelation of the official design and specifications of the device. The A40 sits in between the Samsung Galaxy A30 and galaxy A50. The Samsung mobile Galaxy A line up is rolling out one by one from all directions. Despite the official announcement of holding a comprehensive A-series event on April 10th more phones keep coming in.. The only handsets yet to make into limelight are now the Galaxy A60, A70, and Galaxy A90. Like all other new A-Series, Galaxy A40 offers high-end performance at a price that won’t break the bank. Featuring a widescreen with HD+ resolution gives a nice visual experience. The robust configuration with a healthy battery back up can support to play a game without any disturbance. Also, users can enjoy clicking pictures all through the day by the cameras. It is also provided with huge storage that can store a lot of data. Overall, the device is a perfect choice in this price bracket. Samsung A6 is a robust sleek uni-body design with a glossy finish with edge to edge curved body. According to Samsung, its sleek smooth curves and glossy design have been engineered to offer improved durability. Likewise, for comfortable grip for maximum usability, without compromising on style. 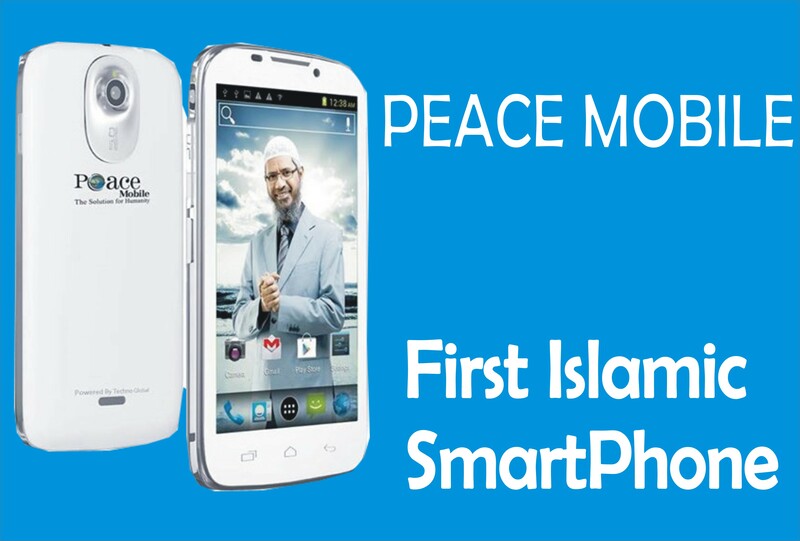 Featuring Super AMOLED panel with Full HD+ resolution of 1080 x 2340 pixel. Samsung A40 measures 44.3 x 69.1 x 7.9mm, hence, the pleasant feel at hand and alluring look to the eyes. Samsung A40 features an edge-to-edge look that stretches top to bottom. The phone pixels spilled over the curved edges at the sides, giving no room for big bezels on mid-range smartphone. This new Samsung galaxy A40 mid-range device features a fancy dew drop notch right on top of the device. This makes the screen look a bit attractive. The drop notch accommodates the frontal camera. The 5.9 inches device features a Super AMOLED display with 1080 x 2340 pixels resolution resulting to 374ppi per pixel density. 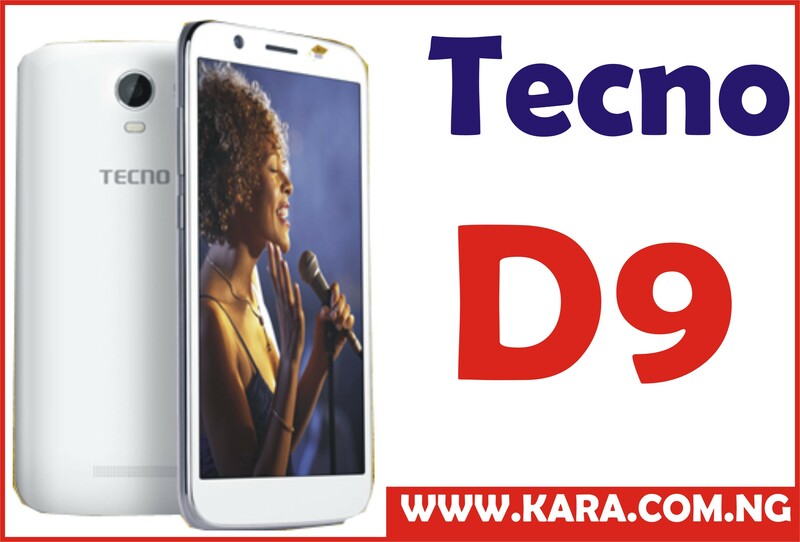 It comes with 88.1% screen-to-body ratio with 19.5:9 aspect ratio. There is also a display color up to 16 million which gives the device a colorful and bright. Samsung also enhanced the Galaxy A40 regular feature found on all Samsung A series smartphone. The Always On Display (AOD) helps get notifications, check time, date and battery percentage without unlocking your device time over time. The Galaxy A40 comes with dual rear camera setup. It sports 16mp + 5mp primary and secondary camera sensor. It features optical stabilization (OIS), aperture of f/1.7, autofocus and a LED flash on the back. Users can now capture sharp, clear photos even in low light conditions. On the front top sits 25mp selfie camera sensor for selfies lovers. This is one of the selling points of the phone. This front camera pixel is hardly seen on any smartphone within this range and price. Under the hood, Samsung A40 is powered by Samsung’s own Exynos 7904 chipset. The Exynos 7870 is built on the modern 14nm LPP FinFET manufacturing process. The chipset is supported by an Octa-core CPU ticking at 1.8 GHz . For the device graphics, Mali-G71 MP2 controls the duty which helps produces and optimum performance with less power consumption. Samsung Galaxy A6 (2018) runs on the Android 9.0 (Pie) with One-UI on top. Android Pie is google latest OS version which is a fast and user-friendly. In addition to the Os version, the A40 also sports the Samsung Experience One-UI interface. This enable the device easier,and clearer to operate. It also uses softer colors and slightly smaller squircle icons, the swipe-up app drawer, and well segmented settings menu. This interface helps in themes selection and customization options making it easier on the eyes and colorful in every right sense. The One-UI features Power user features like split-screen multitasking, KNOX security and Secure Folder are also present. Samsung Galaxy A40 comes with 4GB RAM and 128GB internal storage space. Furthermore, Samsung still keeps to using the microSD card slot to expand the on-board space. Hence, the storage can be increased through the use of micro-SD to provide storage up to 512 GB. This Samsung phone is powered by 3100mAh battery Li-Ion Non- removable battery. This battery is a setback on every other updates of the phone. As a powerhouse the 3100mah is smaller compared to the 4000mAh battery on the Galaxy A20, A30 and the galaxy A50. However, the phone is expected to keep users busy for at least 8 hours of videos watching and surfing the internet. Thanks to the OS and processor the device does not drain the battery fast. 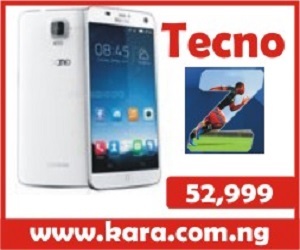 Samsung A40 prices in Nigeria varies depending on the deal. However, it is definitely not going to be cheap neither will it be over board. 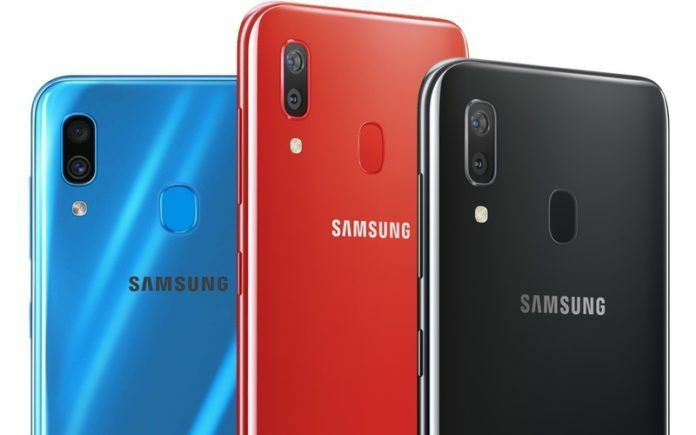 Where To Buy Samsung Galaxy A40 In Nigeria. 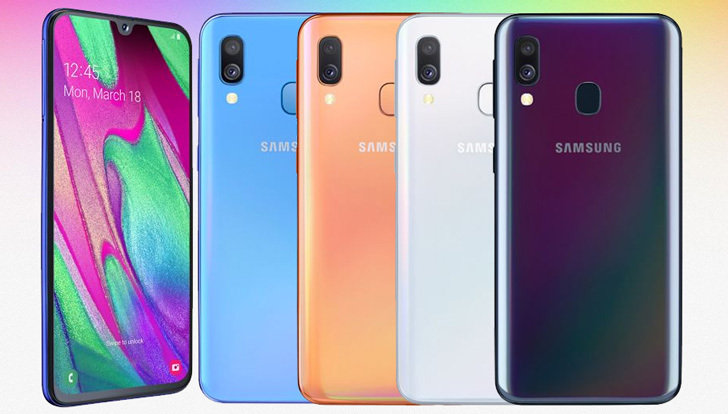 Looking for where to buy Samsung Galaxy A40 in Nigeria at the best deal? It is very simple and stress-free, to avoid buying the refurbished product, the best option and the smartest move is to order from an online shopping store. 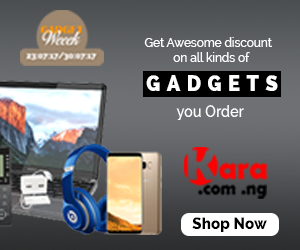 The best online shopping website to buy your Samsung galaxy A40 is Kara.com.ng. where you can order your preferred series at the best selling price in Nigeria and also enjoy fast delivery to any location in Nigeria.